With the PlayStation Experience event canceled for this year, Geoff Keighley’s The Game Awards 2018 remain the only major gaming event (outside of today’s Microsoft X018). Due to go live at 8:30 PM Eastern Time on December 6th, streamed at 4K resolution on YouTube, The Game Awards 2018 will not only give out prizes to their industry’s best and brightest developers for the work they’ve done in 2018 – it will also provide us with plenty of reveals. Speaking with GamesBeat, Keighley said that while The Game Awards 2018 will indeed have some new game announcements, this year there will be a lot of new content/feature announcements for ongoing games. This isn’t that surprising, given the industry’s shift on the game as a service (GaaS) model and how successful titles are being supported more than ever, with even Nintendo planning to do it for their flagship titles. People always ask me on social media about what’s going to be announced, what’s going to get shown. I think we have a good enough history of debuting new games and announcements that people can expect that. But as far as specific content that’s going to be at the show, we’re not talking about that yet. As we get close to show we’ll share some things, although honestly we won’t talk about what are in effect surprises for the show. But yeah, Kojima has been a great friend of the show over the years. We’ve shown, I think, two or three years of Death Stranding stuff. We have amazing developers across the industry now that support us. This year there was quite a runoff, with a lot of games that wanted slots to be part of the show and share new content. Another thing you’ll see this year — yes, we have new game announcements, but we also have a lot of ongoing games. People keep playing games as services, and they’ll have updates around new content and features that may get revealed at the show. Maybe it’s not a new game announcement, but it’s something that will matter to a massive player base around the world. That’s new and evolving. Last year, with PUBG, we announced Miramar, their second map. We revealed that at the show. That was a big moment. I think you’ll see more of that kind of thing with a lot of different games this year. What would you like to see announced? 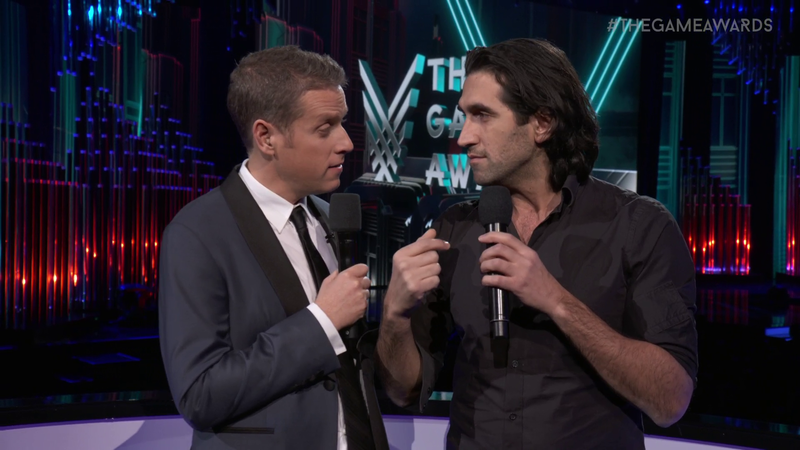 And will there be another impromptu, memorable performance like last year’s by Josef Fares? Let us know in the comments!